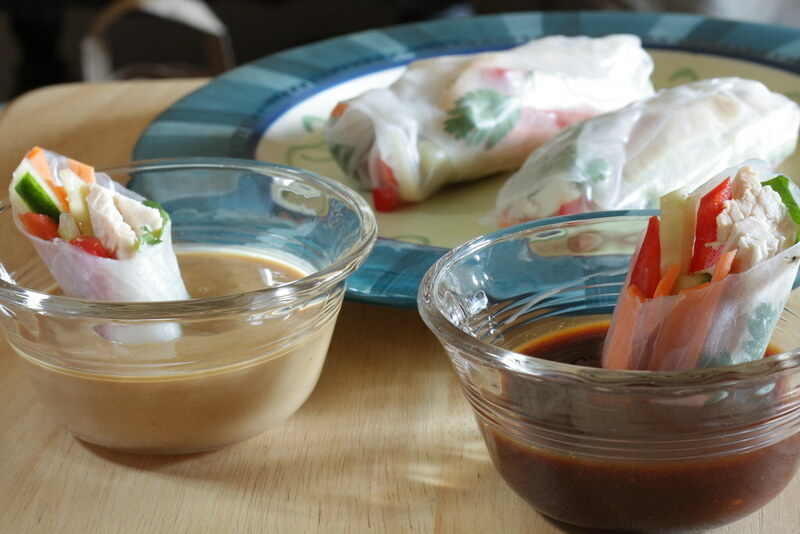 I have to confess that I’ve made summer rolls three times in one week. After each meal, I still had dipping sauces leftover, and those sauces kept beckoning to me from the fridge. I also had prepped vegetables in the fridge, plus some leftover chicken. . . I simply couldn’t resist. 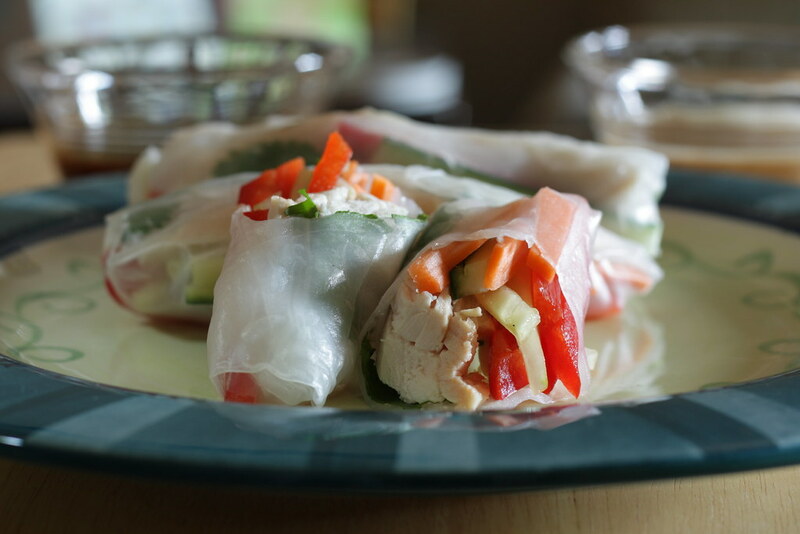 These rolls are perfect for summer – they are light and refreshing, and once you get the hang of rolling them, they assemble quickly. Don’t worry if they don’t look perfect – ahem, did you see mine? I also really have to recommend making both dipping sauces. Both are delicious, but so different that it’s like having two meals in one night. They both bring out completely different personalities of the same roll. If you end up with leftover peanut sauce, simply toss it with pasta, some red pepper and carrot matchsticks (especially if you have some leftover from these rolls), scallions, and leftover chicken for a quick meal. Bring 3 quarts of water to a boil. Add vermicelli rice noodles and remove from heat; allow to sit for 15 minutes. Drain noodles and rinse under cold water. Set aside. Fill a pie plate with cool water. Place a spring roll wrapper in water for 30 seconds, remove to a work surface. Add desired fillings (see below for suggested combinations) and some vermicelli to the lower third of the wrapper. Roll wrapper over fillings, then fold in each edge. Continue rolling the rest of the roll; place on a damp paper towel and cover with a damp paper towel. Assemble the remaining rolls. 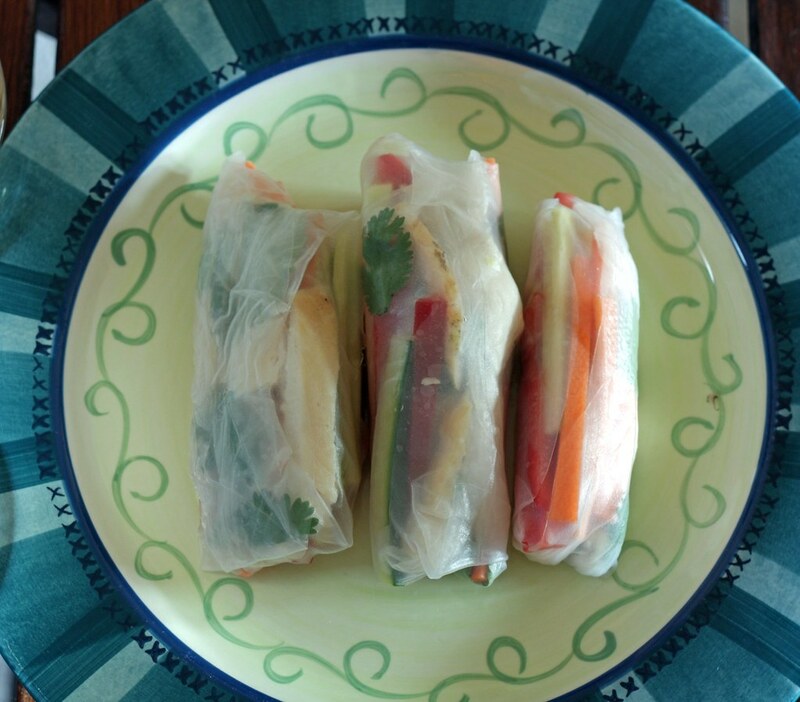 Cover rolls with damp paper towel and refrigerate until ready to serve. For the dipping sauces, whisk all ingredients until smooth. Serve rolls with sauce.